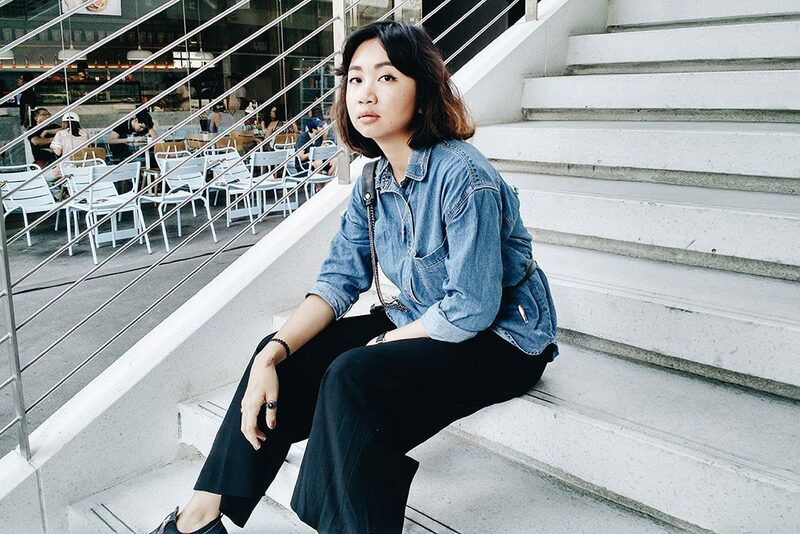 When it comes to fashion staples that every girl needs to have in her closet, a denim shirt would probably be in the top 3 of the list. 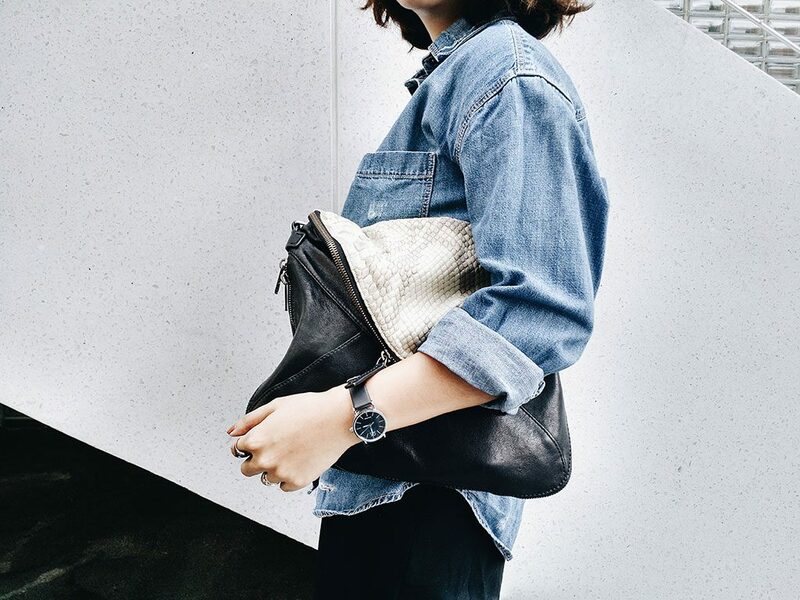 Whether it’s in a dark or light wash, oversized or fitted, denim shirts are incredibly versatile when it comes to styling. They’re like your best friend you know you can rely on when you have that feeling of having nothing to wear. 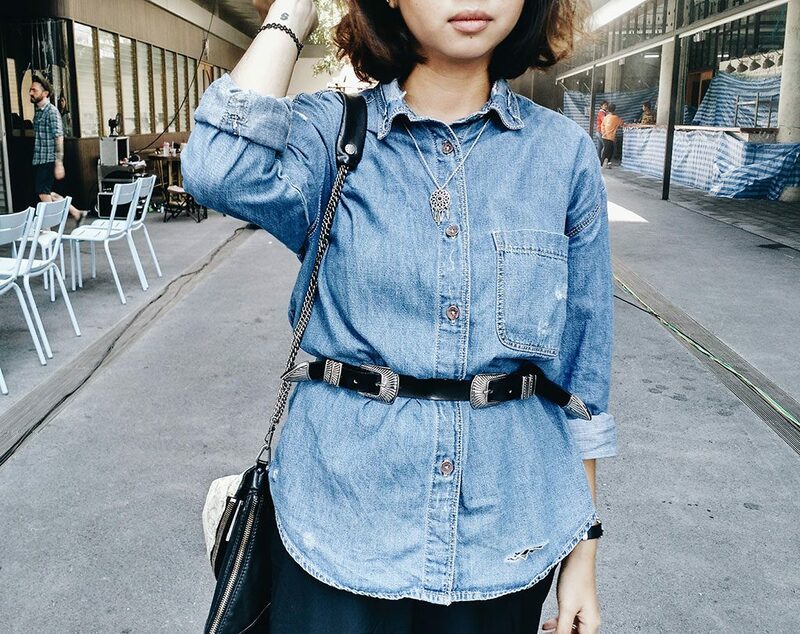 I have a few denim shirts in my closet that I absolutely adore, but my go-to pick would be this one from Zara TRF. 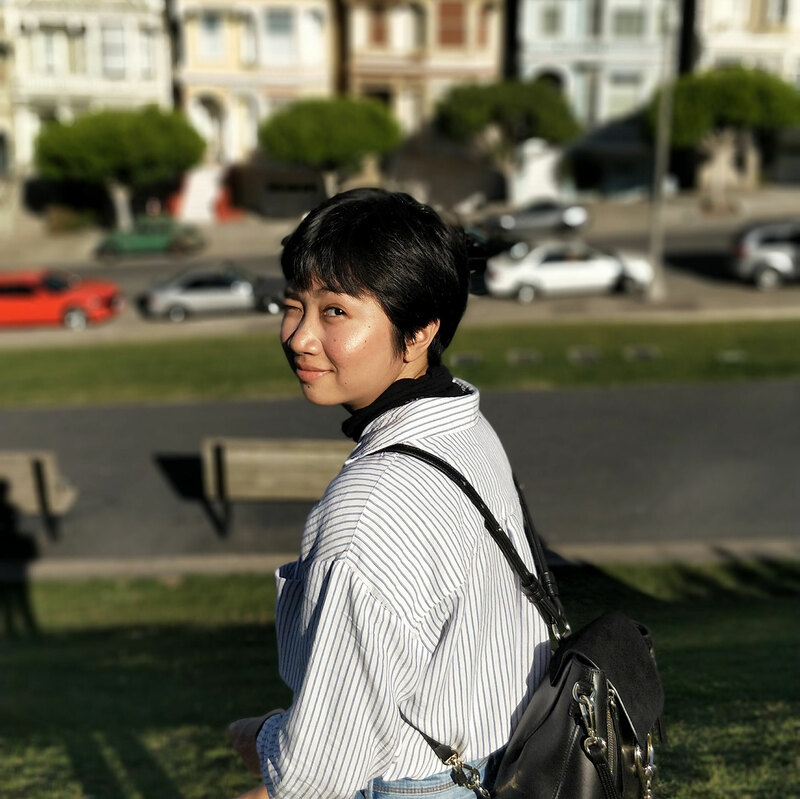 I’m not a girly-girl, so when it comes to buying clothes and accessories, I always gravitate towards either the classic, minimal pieces, or the edgy, boyish pieces. 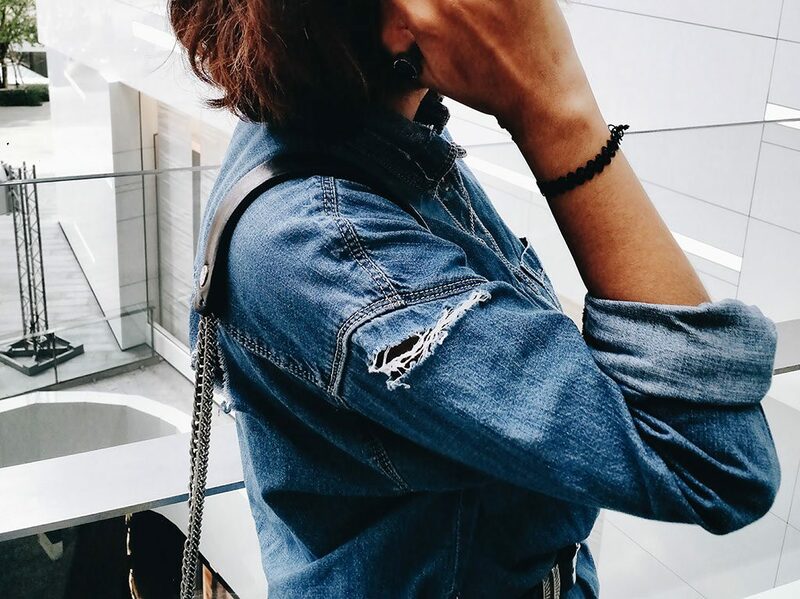 I love the frayed collar and the ripped holes on this denim shirt, and how it’s a bit oversized. 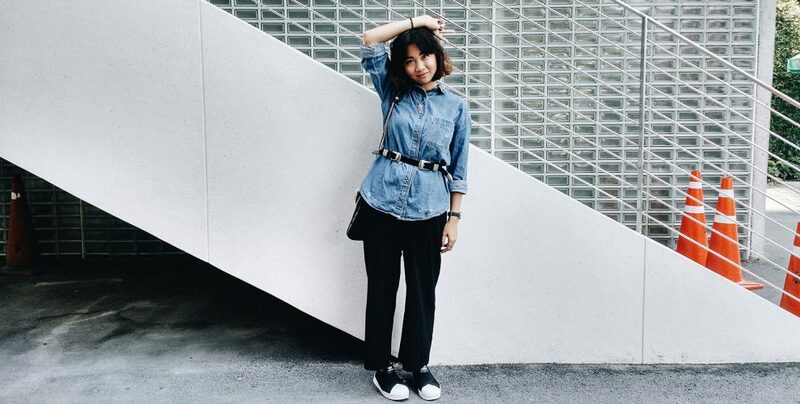 I paired it with my black Zara trousers, adidas Superstar Slip-Ons, and my Boyy ‘Slash’ bag for a casual, cool look. 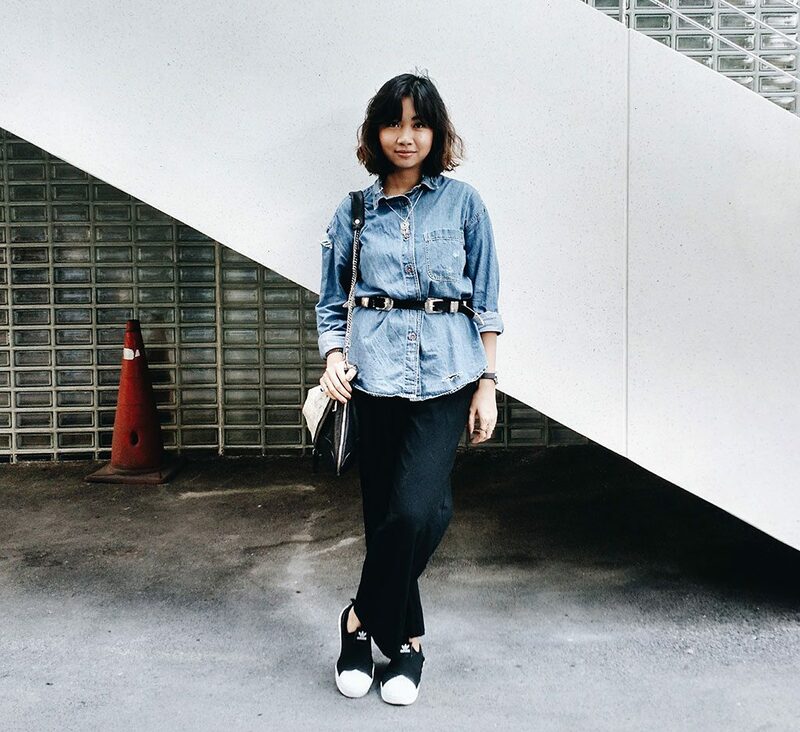 For really lazy days, I would probably just wear the denim shirt like how it is, but since I was going for a nice brunch at a newly opened cafe, I thought I could style it up with this double head black belt I recently got from Siam Square for that extra oomph. I’ve been eyeing this belt style for a while now, and to see it finally hitting stores in Siam, I just had to have it!